This recipe is easy and very flexible. You can use whatever meats you have on hand or just go with all veggies. We’ve used just chicken and egg before as well as broccoli and carrots. But our go to is chicken and egg with onions and mushrooms because I love caramelized onions and sauteed mushrooms. It works best when your rice is cold but I seldom have rice sitting in the refrigerator waiting to be used. When I first ate chicken fried rice it was at a Cantonese restaurant. It had onions and mung bean sprouts and maybe some carrot cubes. 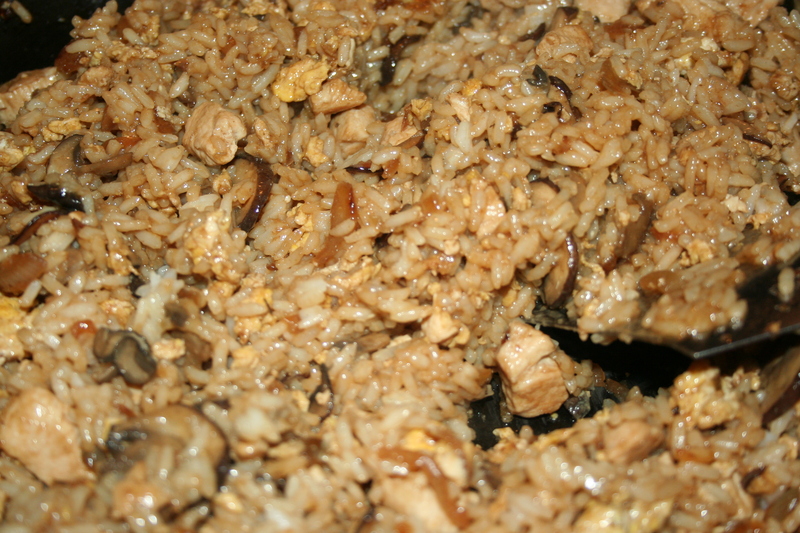 Several years after Mike and I got married, I wanted chicken fried rice for dinner but we couldn’t afford to go out at the time, so I set out to make it at home with many disappointments. At first I did not add in the mung bean sprouts because they were crunchy and I don’t like crunchy cooked vegetables. It didn’t taste right so I tried the same recipe I’d found with the sprouts but it was still missing something. I tried other recipes and one day came upon a recipe that included sesame oil but said it was optional. Well, sesame oil was not cheap so since I wasn’t sure if we’d like it or ever use it again, I did not purchase any. The recipe did not taste like what I remembered it was supposed to taste like. 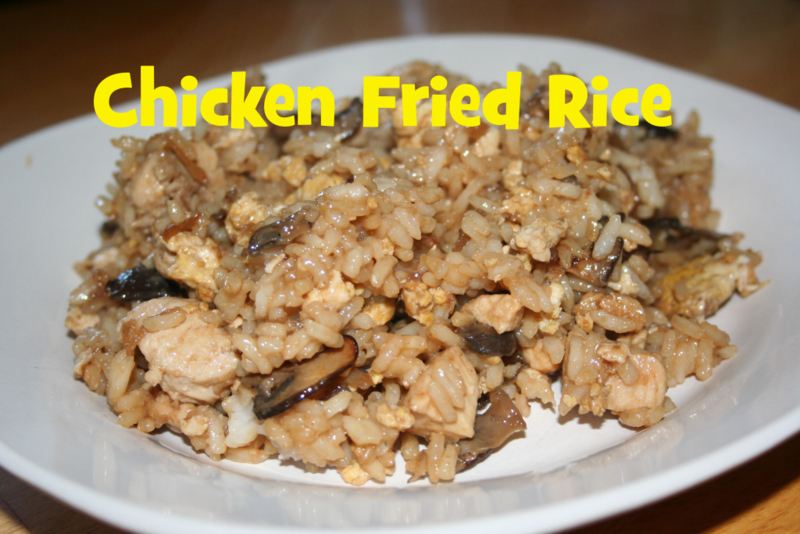 I tried other recipes and one day decided to get the sesame oil and give it a try. That was it! I was amazed that a few drops of this oil is what the key ingredient was to making this dish taste like its restaurant version. If you have any leftover meat or veggies, this is a good way to use them up. You can use as much or as little of any ingredient as you desire. If you don’t have any rice cooked, put about 1½ cups of rice in 3 cups of water. Bring to a boil. Cover and reduce heat to a simmer. 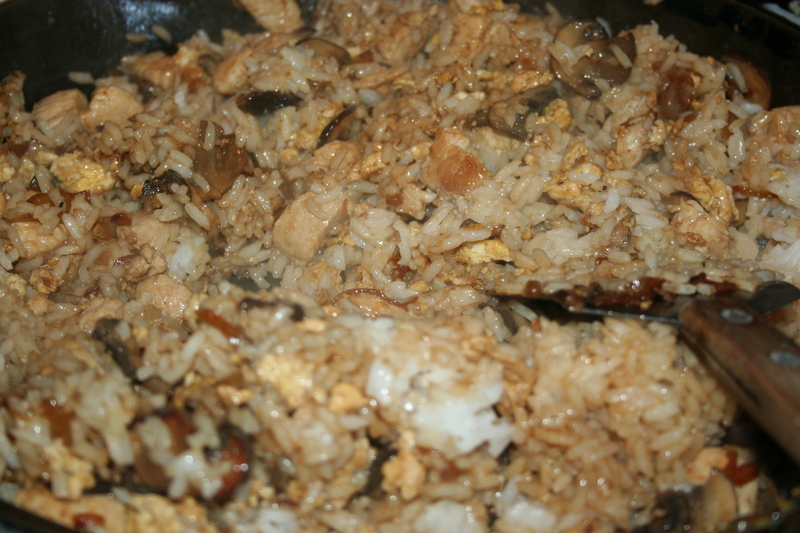 Simmer for about 20 minutes or until all the water is gone and rice is tender. 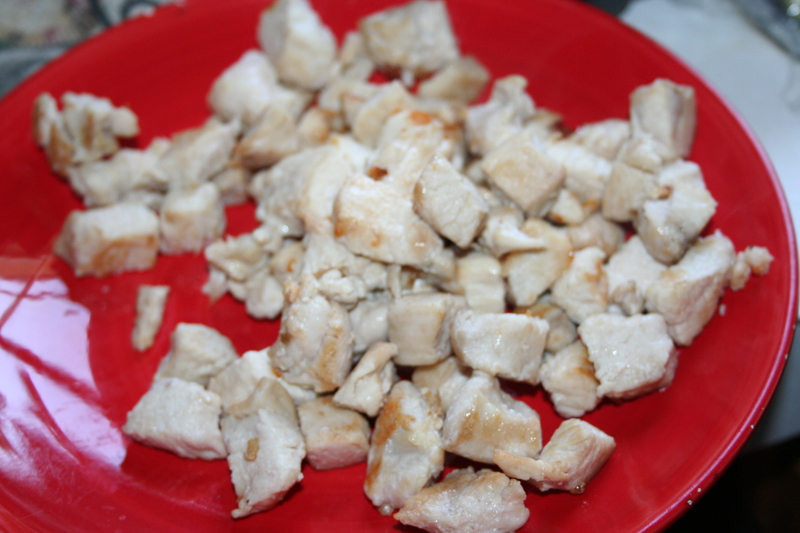 I usually use one large chicken breast that is somewhere between three-fourths of a pound to one pound. Cube and cook just until no longer pink. 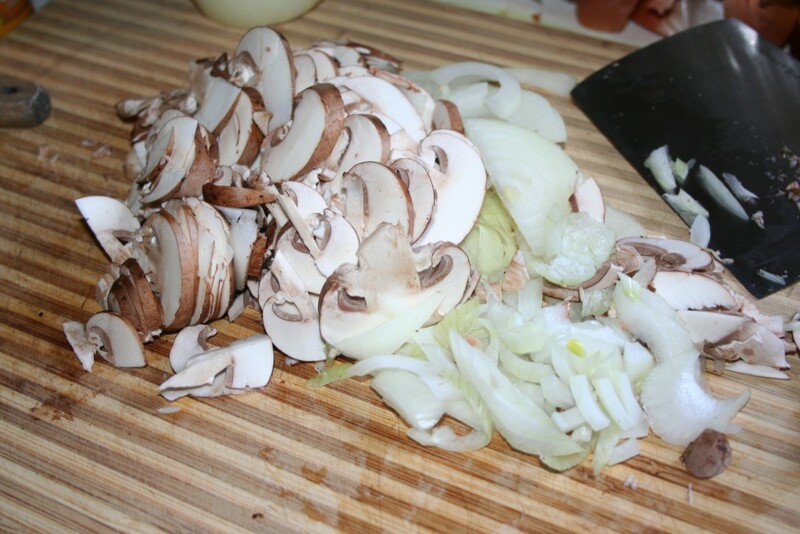 Dice about half an onion and slice about 5 or 6 ounces of mushrooms. Saute in a little butter or oil, with just a few drops of sesame oil. 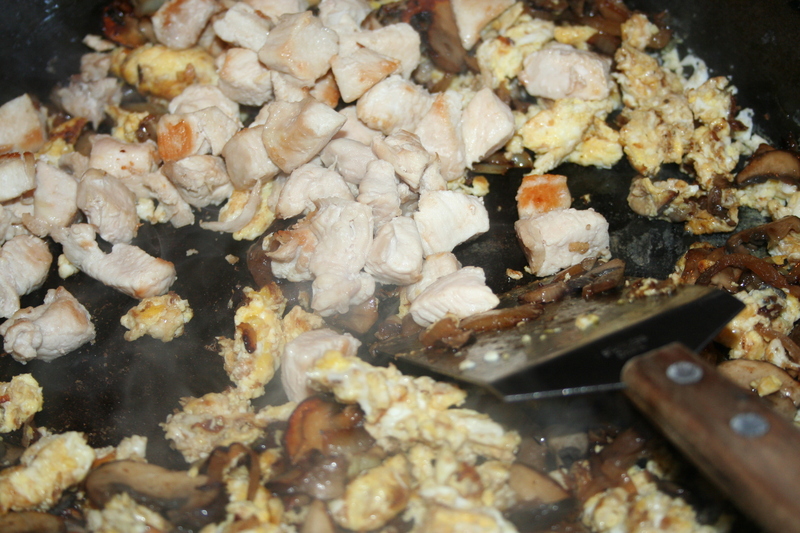 (Sesame oil is very strong, so start out with a little bit; you can always add more later. 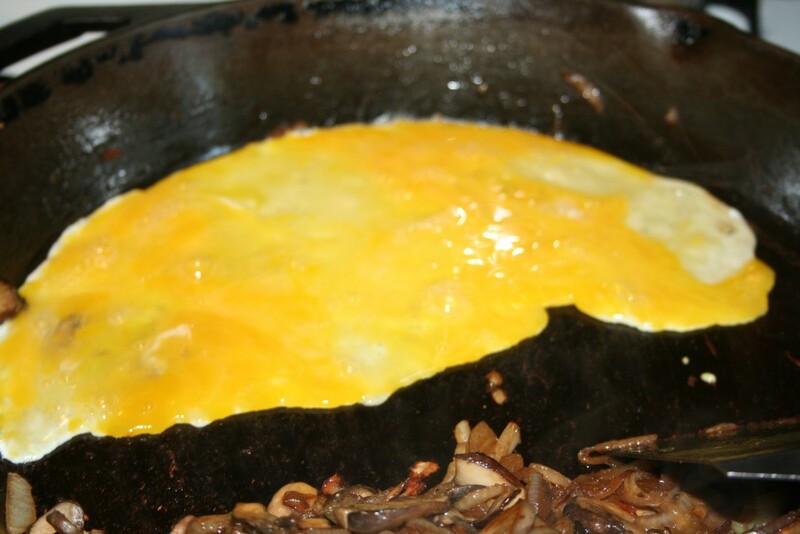 Move veggies to the side and beat 4 eggs slightly. Pour into the pan and scramble them. Taste it. 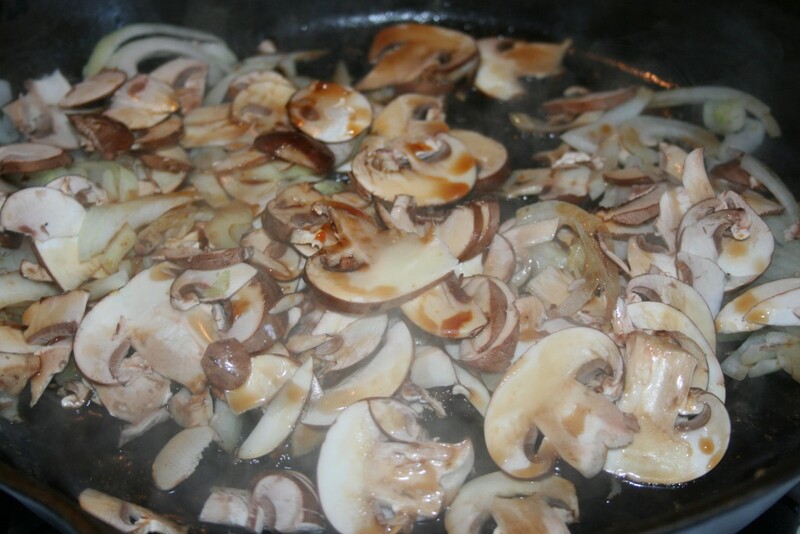 If it is too mushy, add a bit more oil. 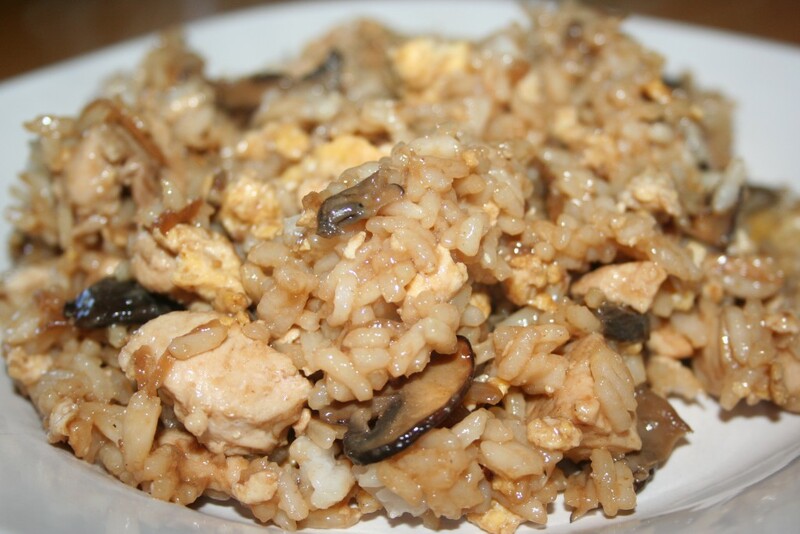 If it is bland, add a few more drops of sesame oil or soy sauce. I hope you will give this one a try. It really is very versatile and delicious.